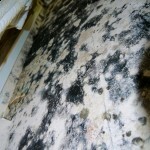 Toxic mould is a myth – but would you want to live here without sterilising first? Why are these basement conversions so bad? And, is there anything we can do about it?